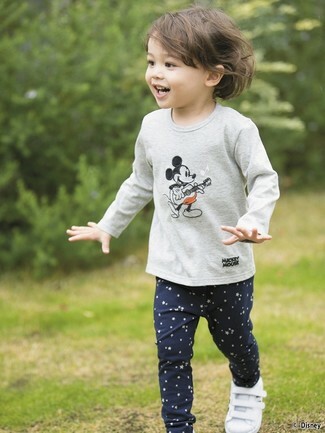 Suggest that your mini fashionista reach for a grey print long sleeve t-shirt and navy star print leggings for a comfy outfit. Vans toddler girls classic strawberries slip on sneaker are a smart choice to finish off this getup. 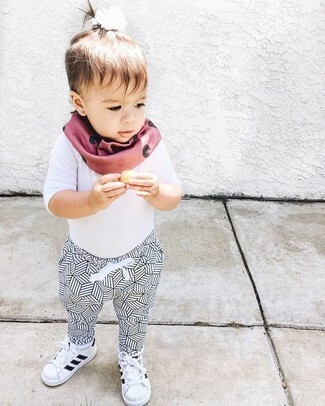 People will swoon over your little princess if she wears this combo of a white long sleeve t-shirt and white and black sweatpants. Complete this style with Vans toddler girls classic strawberries slip on sneaker. 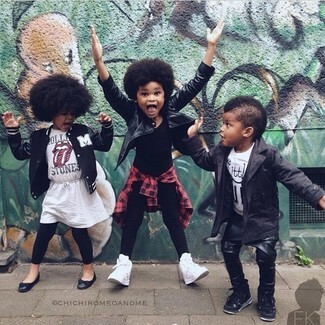 Dress your little princess in a black leather jacket and black leggings for a comfy outfit. 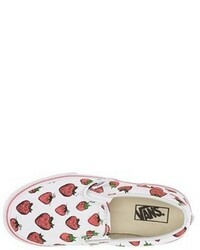 Vans toddler girls classic strawberries slip on sneaker are a savvy choice to round off this style. 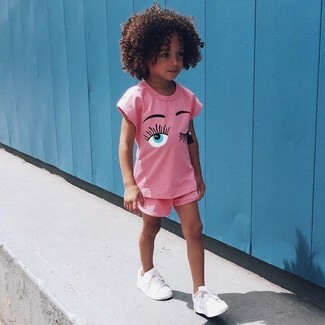 Suggest that your girl pair a pink t-shirt with pink shorts for a fun day out at the playground. 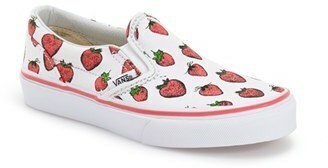 Vans toddler girls classic strawberries slip on sneaker are a nice choice to finish off this getup. Teach your mini fashionista to take pride in her appearance by suggesting that she team grey dress with a grey denim long sleeve shirt. 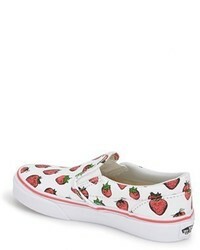 Vans toddler girls classic strawberries slip on sneaker are a nice choice to finish off this getup. Go for a light blue denim long sleeve shirt and pink leggings for your darling to create a cool, stylish look. 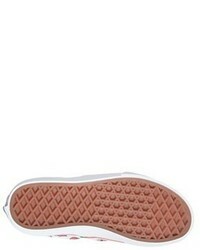 This style is complemented perfectly with Vans toddler girls classic strawberries slip on sneaker from Nordstrom. 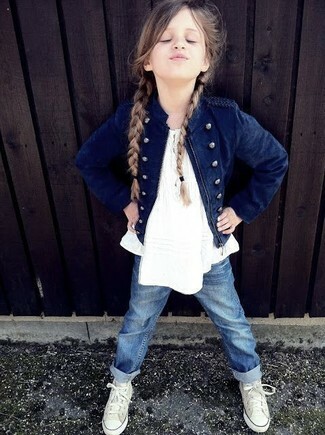 Your daughter will look adorable in a navy jacket and blue jeans. The footwear choice here is pretty easy: complete this getup with Vans toddler girls classic strawberries slip on sneaker. 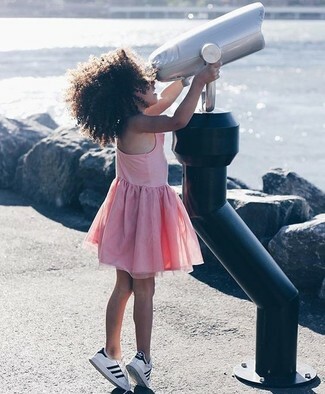 Dress your mini fashionista in pink tulle dress for an elegant, fashionable look. As far as footwear is concerned, suggest that your little one grab a pair of Vans toddler girls classic strawberries slip on sneaker. Go for a grey jacket and black jeans for your girl to create a smart casual look. This ensemble is complemented perfectly with Vans toddler girls classic strawberries slip on sneaker from Nordstrom.